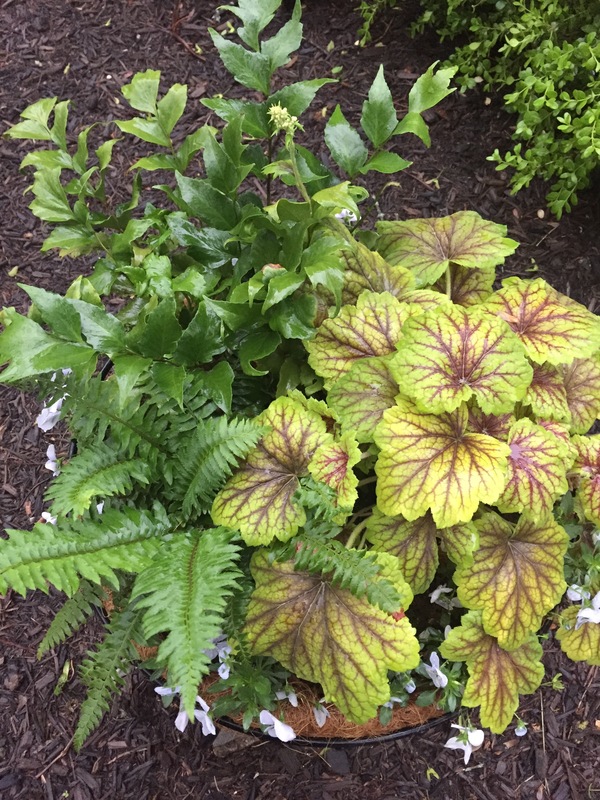 In this planter, ferns and heuchera are joined by some violas. Some moss completes the composition. The results seem to be deer-proof, so far — and shade-tolerant. As perennials, they can be relocated to another part of the garden at the end of the season, to return again next spring.